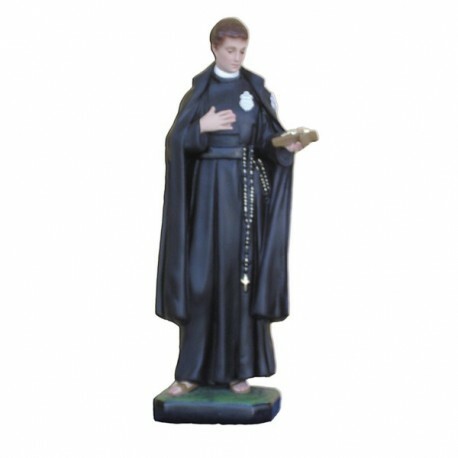 Statue of Saint Gabriel of 40 cm. Saint Gabriel of our Lady of Sorrows was an Italian passionist. He lived from 1838 to 1862. He is commemorated on the 27th of February. He was born in Assisi and he studied by the Jesuit in Spoleto. 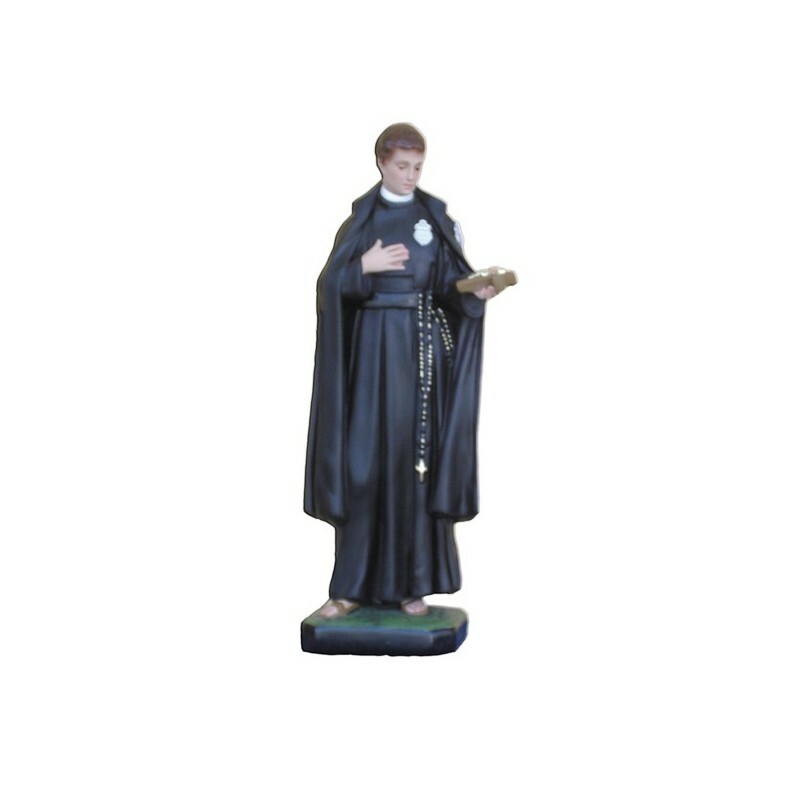 He suffered two diseases and in that period he developped a strong religious vocation and in 1856 he entered the Passionists in Morrovalle, near Macerata. He achieved the perfection through a heroic abnegation of the little things. He died in 1862 in the Island of Abruzzi. He was canonized in 1920. He is illustrated as a youth with a black monastic clothing, with a crucifix in the hands.